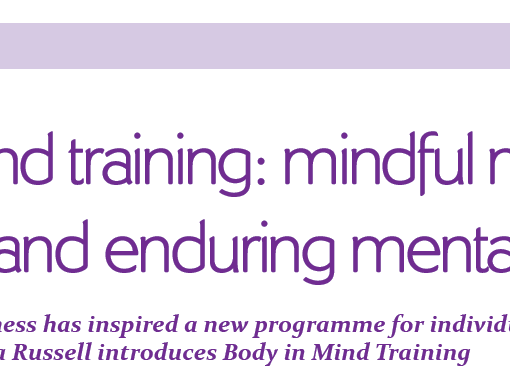 Working with Dance United, Tamara Russell provided mindfulness consultancy for the Dance Team to support them in their pilot study of a dance intervention in mental health. The project aimed to work with young people and those with their first presentation of a severe mental illness, using a dance based methodology to increase self-esteem, motivation and engagement. The Dance United team already have a methodology for working in this way with young people in the criminal justice system but this foray into mental health was a new endeavour. In a day-long workshop, Tamara explored with the team ways in which their embodiment from dance training and mindfulness of the body could be added into the project process. This was to allow the staff team to feel empowered in this new endeavour as well as to support the young people in the process. The pilot project was a great success for all involved and the team are now trying to secure funding for a larger randomized controlled trial to really unpack the effects.